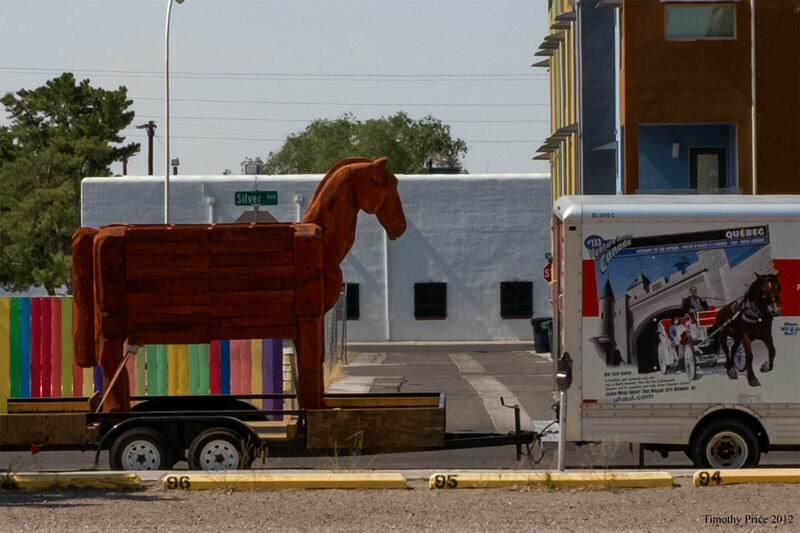 A Trojan Horse was parked on Silver behind the office this morning. Bruce thought it would have been an even better photo op if it had been parked in front of Ms. Zachary’s Castle just a half a block away on the corner of 2nd and Lead (you can take a photo tour of “The Castle on Skid Row” at http://online.wsj.com/article/SB10001424052748703909904576051950137854170.html#slide/1). 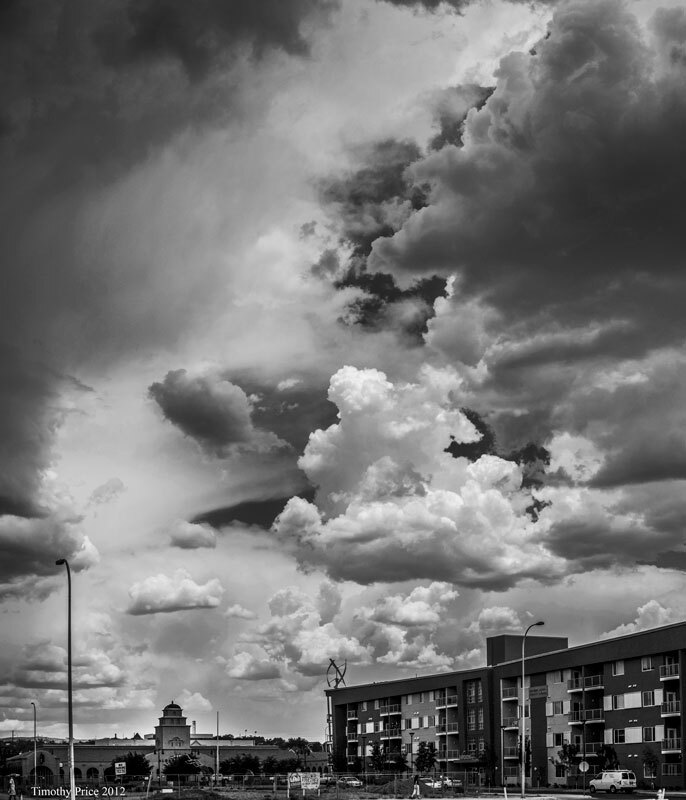 I walked out of the office at 1:30 this afternoon to discover a beautiful, stormy sky that eventually delivered a little rain. 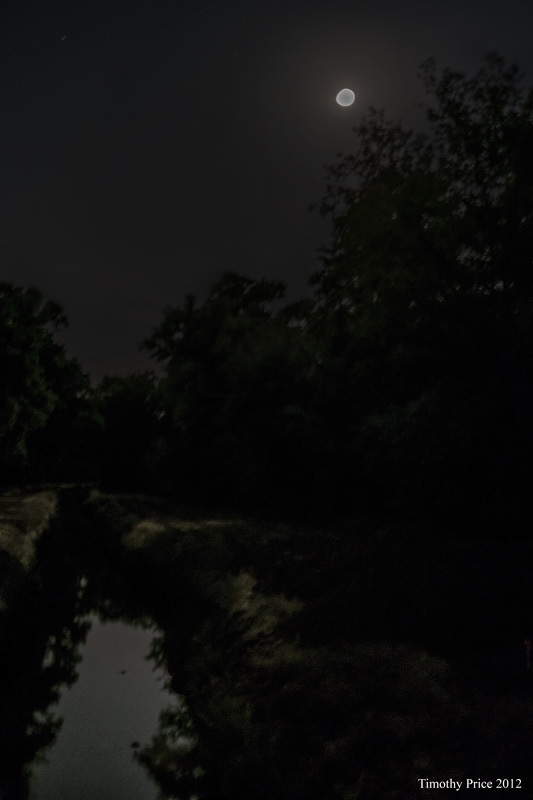 I took the final photo at 3:00 am Sunday morning when I went out to turn in water to irrigate. The transit of Venus will occur tomorrow afternoon when Venus will crawl across the face of the sun between 5:00 to 7:00 pm. I plan on photographing it if the sky is clear.